If you have a wooden deck but would like to give it a little bit of a revamp, then read on. A good place to start when thinking through your deck ideas is planning the color -a red, whiteand black theme will give a very dramatic look you could also have white and red plants which will add a lot of instant color. However if within your deck ideas you want a softer feel then pastel colored plants such as white, mauve, pale yellow and pink can be lovely. Check local nurseries for attractive plants that grow well outdoors have a lovely smell and flower for long periods – jasmine is great, as it has a wonderful fragrance as do many other plants too, so ask at your local plant store. Further deck ideas might be to add either small or larger furniture set or a small table & chairs, or just a chaise or wicker sofa, maybe with either plain or colorful patterned seat cushions. Furnish your deck or patio with accessories and designs that add comfort and style to outdoor living. You can buy the cushions in so many different colors just think through what all the colors will look like together. You can also add a match-stick or bamboo-looking screen. This can be either free standing or one that you can attach with screw in cup holders so you can roll it up and down from above, if there is a deck above, too. Also don’t forget the lighting when thinking through your deck ideas, you can get many different types of lighting – indoor-outdoor paper shade or battery operated lights, or string lighting with dragonflies can be very attractive and means the decking area can be used both during the day and also at night. Adam Helps is prepared to build the deck of your dreams, so you can style it how you desire. 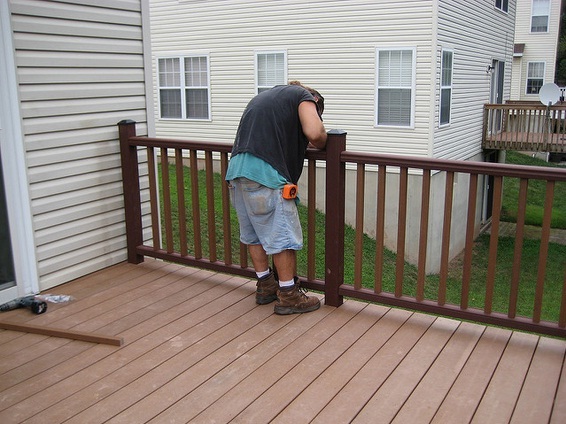 They also offer deck refinishing colrado springs, repainting and Handyman Repair Work . The licensed professionals are there to help you improve the exterior of your home. Call today for a consultation.